It’s surprising to know the different things people flush down their toilets. Most home dwellers simply flush virtually anything, from old garments, pills, food leftovers, etc. But the truth is that there are only very few things that should be flushed down the toilet. Conventionally, only two substances should be flushed down a toilet to the sewer: water and human waste. Contrary to that, most people let huge rolls of toilet paper accompany these two things whenever going for a long call. And this happens at a single instance of a visit to the toilet. That is not a really good idea, neither is it a nice way of getting the real value of your money. This will only increase the buildup of more paper, even though toilet paper easily disintegrates in water. Huge toilet rolls used at once will mean that water from a flush may not be enough to clean out the rolls into the sewer. If one is not keen enough, this may end up creating a buildup. With increased build-up, chances of clogging also increase. 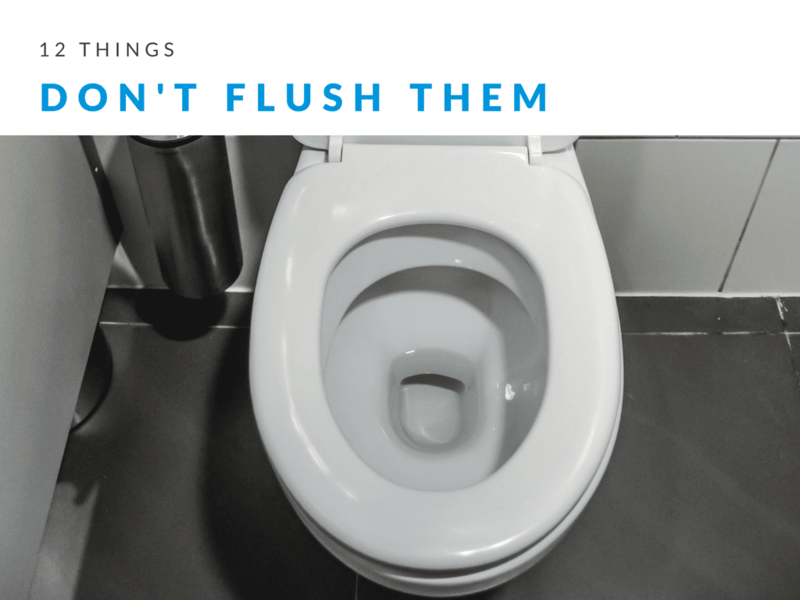 It’s important to always perform a premature flush so as to prevent any possible complication as well as costs related to unclogging the toilet. You heard of the advertisers of these products claiming that they can easily go down the toilet with a single flush. These are mere lies, nothing but lies! Bathroom wipes are not supposed to be flushed down a toilet. This is because even after flushing, the wipes stay intact and eventually result in problems. Bathroom wipes are known to cause clogging of drainages, sewer systems as well as septic systems all over the country. In fact, they are a major concern that has resulted in lawsuits for causing damages worth millions. What else shouldn’t go down the toilet? These items are designed to hold together while in use. Therefore, flushing them down your toilet will cause huge lumps of clogs that will eventually cause blockage with time. Whenever you are about to flush a cotton ball down the toilet, think of it as flushing your cotton t-shirt. It will never break down, no matter how damp it can get. Cotton, especially when wet will attract other substances and create a huge lump that causes blockage. These behave in a more or less similar way as paper towels. They hold up when you wipe your baby and never let go. Once down the drain, they cause massive blockages. This is a non-biodegradable substance, a very stubborn source of clogs in a toilet. These are made from various types of synthetics and cotton. They also hold up and encourage clogs to form. These include applicators, pads, tampons, liners among others. They shouldn’t be flushed down your toilet. 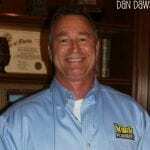 They are also non-biodegradable and very terrible for any sewer, septic or plumbing systems. They should be kept off the toilet to avoid clogging. These are made from thin latex material and are among the top causes of blockages in sewer systems. Condoms are also a real headache at the treatment centers. They are capable of expanding, getting stuck on surfaces or being filled with air, things that always result to clogging. Even though these may not necessarily cause blockages, they form part of class of items that should never go down your toilet. This is because they are chemicals that eventually cause contamination of groundwater and cause serious consequences to the natural wildlife. They also cause death to beneficial bacteria in the soil. DEA and FDA have very useful resources on the web about how to safely get rid of expired medications. These contain plastics that usually expand when in contact with moisture. Flushing it down the toilet will cause an immediate clog at the U-shaped exit, resulting in a nasty blockage. Cat litter, as well as pet waste, have some bacteria that can greatly affect life in the sea. Litter is particularly made from sand and clay. These are two things that shouldn’t go through any drainage pipe at all. These result in high levels of water contamination, even if very small to cause an instant clog. These include grease, oil and fats. When pouring these into the bowl, they may be in liquid state, but on contact with water, they coagulate into sticky solids. They create some form of wax that clogs your drainage pipes. Simply dump them in a proper manner, in a litter bin. Are you struggling with blockages as a result of any of the above items filling your drainage pipes? Contact the experts from Kwik Plumbers to have the mess quickly sorted out! We can as well sort out other plumbing related issues such as pipe lining, installation of water heaters and more! Call us today to find out more!